Welcome the New Year! We’re making a lot of improvements and throwing a ton of fun events this year, and we can’t wait to share it all with you guys! But a huge part of making your experience the best you can at Rollerland is to know before you go. Here’s a few ways you can make the most out of your Rollerland experience! Look at our calendar. We have plenty of events for the whole family each month, and you can look at them all before you come in! Visit our events page or get real time updates about our events on our Facebook page. Our hours can vary around the holidays, so be checking us out on Google as well for updates. Read up on our parties! We get a lot of questions about our parties; which is better, a birthday or private party? What are the price points, and what do they include? You can find all this info our our parties page on our website, and with any further questions, you can always give us a call at 970-482-0497. Bring the right gear. We always tell our skaters to bring thick, calf high socks and knee pads, elbow pads and helmet if you have them. The more prepared and protected, the better! Also wear long sleeves and pants, to protect your skin from harsh falls. Learn about our attractions. A difficult part about a group or family outing is finding something that suits everybody. But with a TON of different attractions, we have something for everyone! Find out more on our info so you can find attractions that everyone will love. Follow us on social. The best way to make your experiences better at Rollerland is to tell us about your own! Leave us a review on Yelp, Google or Facebook so we know what areas we can improve on. You can also follow us on our social channels to get up to date information on hours, events, news and more. 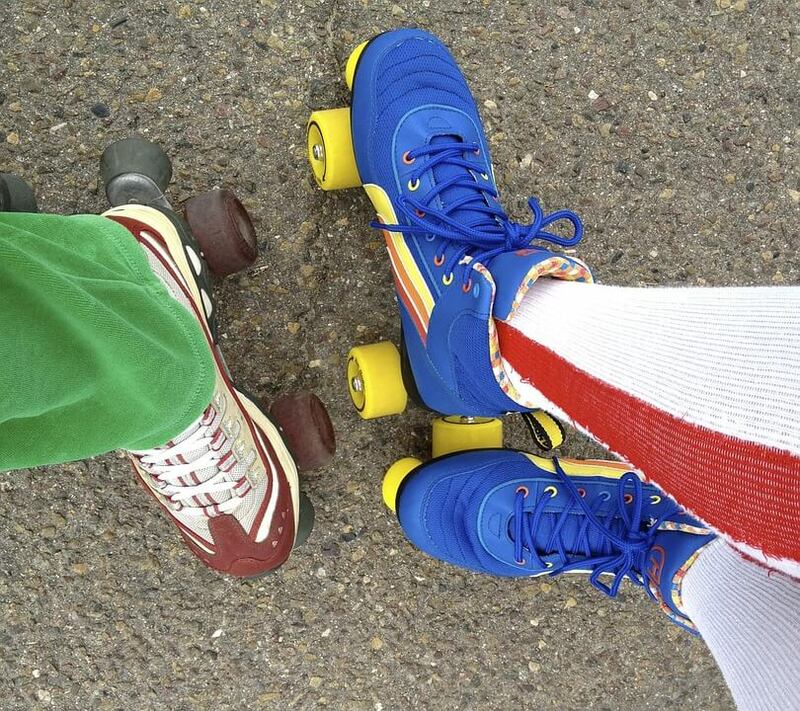 We look forward to seeing you soon at Rollerland! We are located at 324 South Link Lane | Fort Collins, CO 80524. We have plenty of fun for the whole family, so bring the whole gang in!